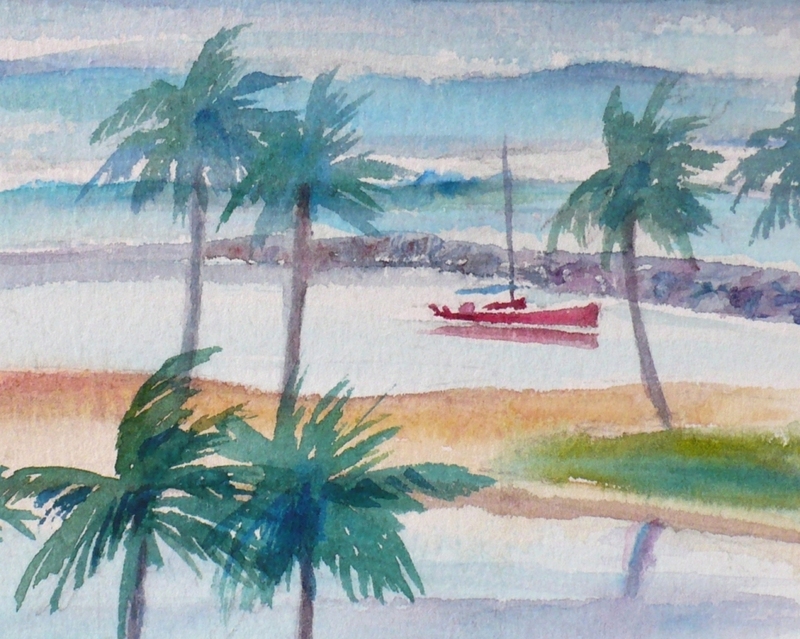 This original impressionist painting of an early morning scene, shows a boat harbored in a little cove on Waikiki Beach in Honolulu. 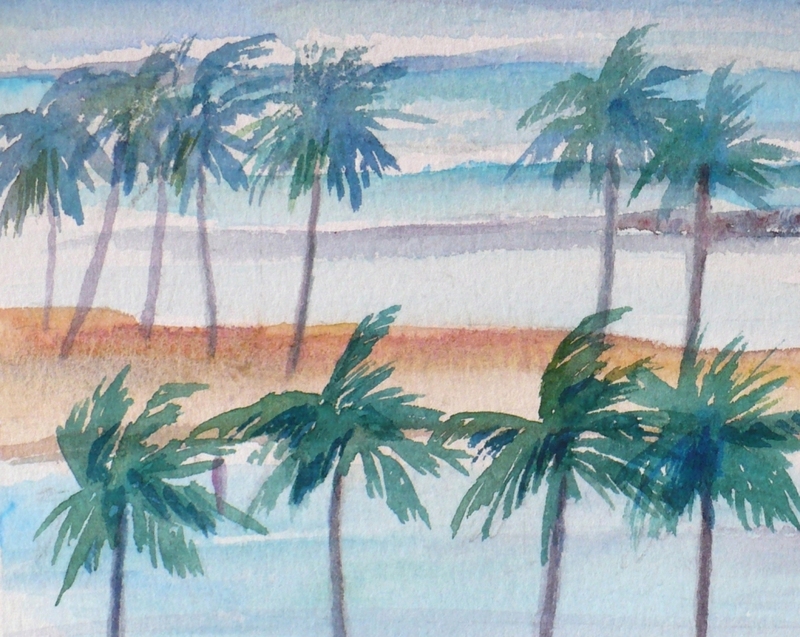 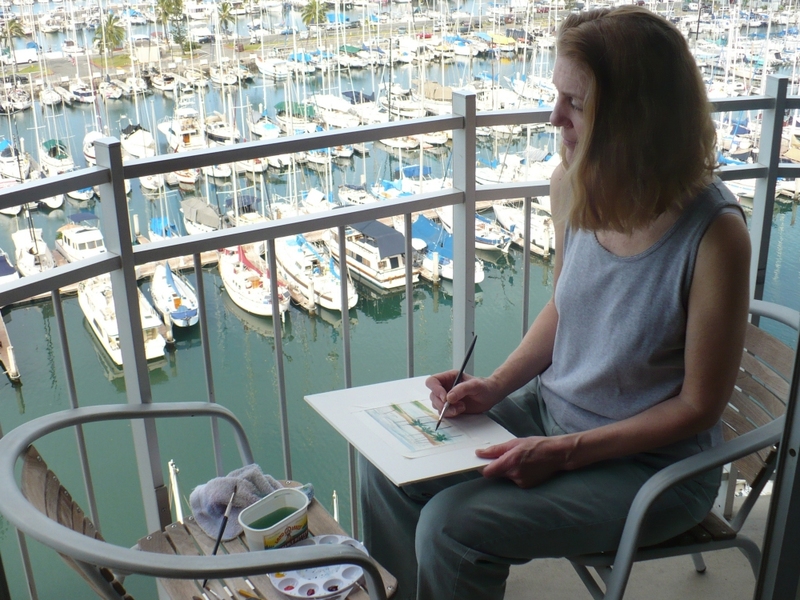 I painted this scene very early one day looking out from the lanai (balcony) of the Ilikai Marina condo where we stayed. 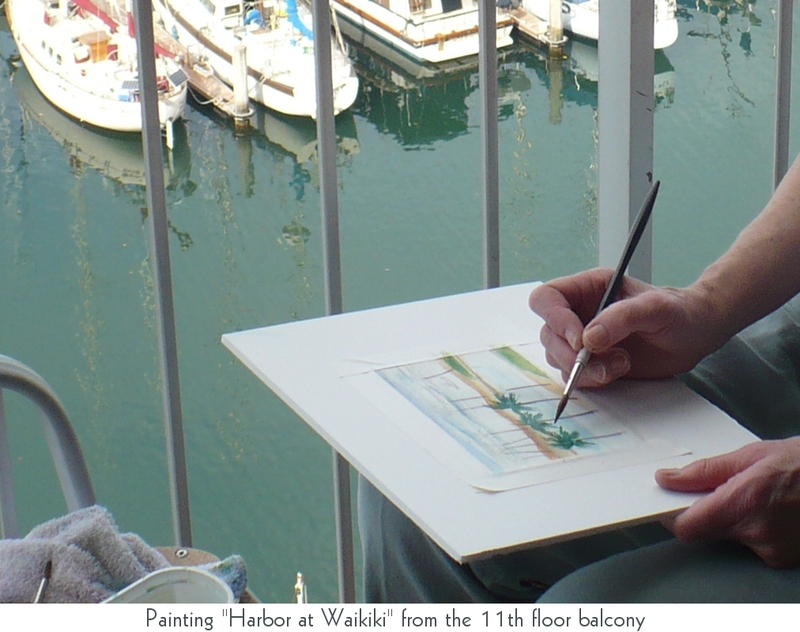 The colors are soft and muted since the day is new, but the breeze is strong. The palms tree fronds are rustling and swaying in the wind. This painting is sold. 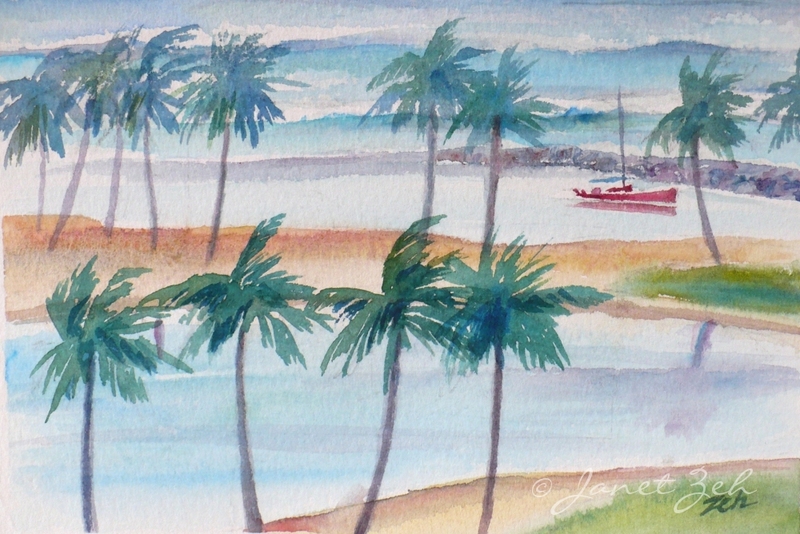 If you like this scene, ask me about having a print or a similar painting created for you.